It is interesting to see how one of my staple brands in high school, Bobson, has evolved into an even trendier fashion that it is today. Bobson Series II was recently launched. It is actually a relaunch of the highly successful 2005 R.E.D (Revolutionized Enhanced Denim) campaign of Bobson Denim bottoms. 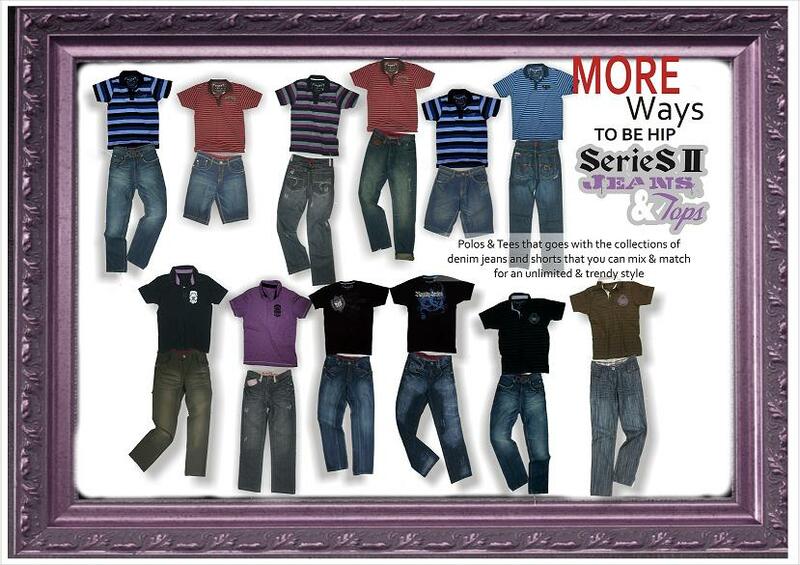 An innovative line that was launched onto the local jeans scene that created immediate following for its modified designs. Check out the lovely details fo Bobson Series II. Fitting into one of Bobson Series II Skinny Straight jeans just got me convinced that they have indeed outdone themselves with this collection. The style certainly did not comprise the comfort. I most certainly will post a picture of me in it soon, just so you’ll know what I mean. 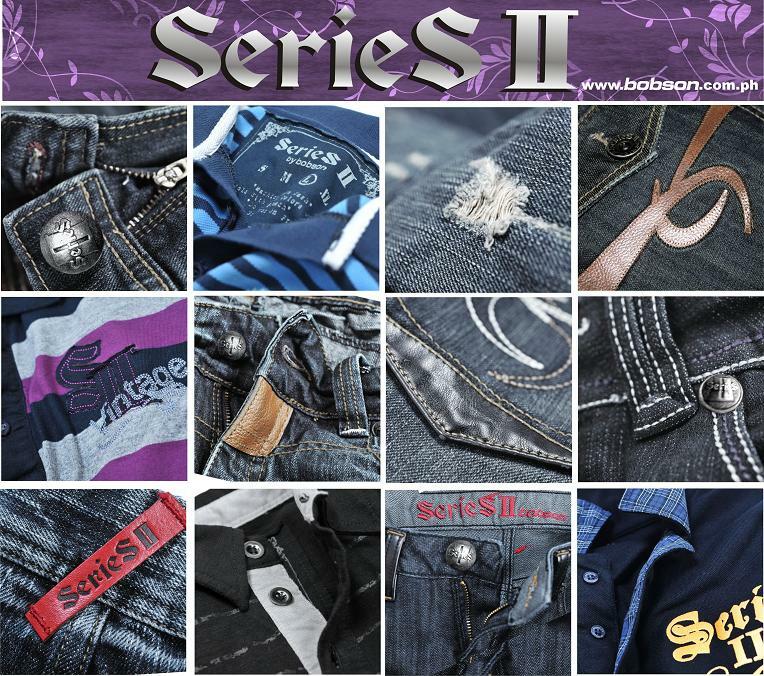 😉 The re-launch of Bobson Series II came about after much clamor from our loyal customers and with the company’s vision to truly bring quality, redefined fashion denim line for ladies and men at reasonable prices. 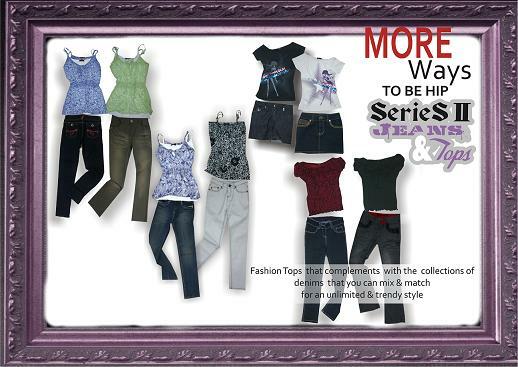 Now, however, we’re including fashionable tops into the mix of this clothing revolution. The name Series II is synonymous with Edgy, Progressive and Modern, with an emphasis on latest silhouettes, fits, and styles. The Bobson demin is on the trend, incorporating new colors and washes, unique pocket details, appliqués, embroideries and finishes. Each piece has a slanted red leather belt loop at the back. The pants were designed with larger back pockets, wider waistband, and a red facing combination. Fashionable ladies will love the Bootcut Fit that is slim through the thigh and knee and widens to a wide opening. And the much sought Skinny Fit that sits low on the waist, tight through the thigh and tapers all the way down to the bottom. I personally love the Skinny Straight cut and its detailed designed leather on its back pockets. I have tried other skinny straight brands but nothing seemed to be as comfortable. The Men’s line carries the Classic Regular Straight Fit that is parallel from thigh to leg opening. There’s also the latest fit for Mens the Slim Fit that sits across the waist, relaxed at thighs and tapers slightly from the knee to bottom. The shirts and tops are designed with today’s men women in mind. Hip and appealing designs grace the pieces that are sure to be a staple in anybody’s wardrobe.